These type of people are always seeing new ways to do a particular thing. They can discover new ideas to Solve a problem. They will help you with ideas to solve your problem. They are always inspired to start a new project and they are definitely the kind of people you should surround yourself in 2019. Yes! The motivated ones are very valuable. They are never withdrawn, they are always self motivated in the face of challenges and they don't easily give up because of their self motivated spirit. This attitude is contagious and don't just surround yourself with the motivated ones find your own motivation and be a motivated one! Is very important to surround yourself with open minded people because they are open to recieve your ideas and they are not judgemental at all. This type of people are easy to work with and they will never stress you mentally and your mental health is very important. So take care of it. Passionate people are unrelenting and they push their passion and passionate spirit to those around them. They always have to chase what they believe in and are never easily distracted or discouraged when challenges arise. They give great advice and they know how to bounce back when knocked off track. One you should never miss in 2019. These type of people know how to appreciate others around them. They are never down casted, they always see a reason to be grateful no matter the circumstance which is a good and positive attitude towards living a happy life. Being grateful for you and others. These sets of people sure,will make a great impact in anyone's life. 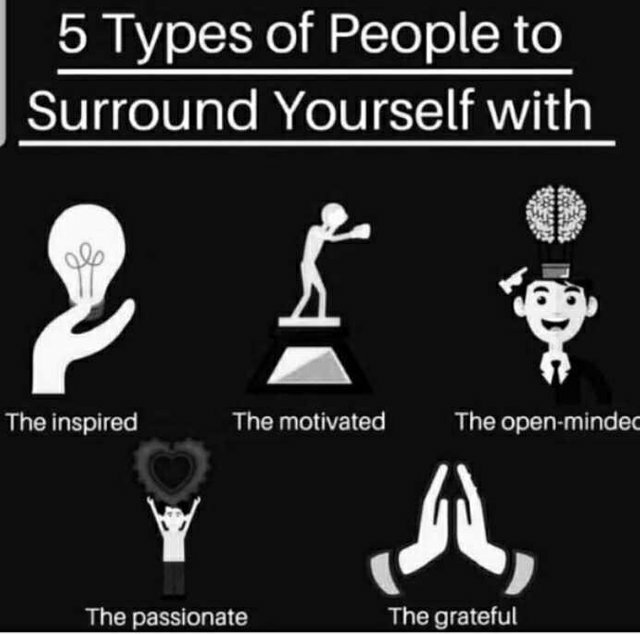 So vibe to your tribe, don't just surround yourself with these type of people, become one! Thanks for your time! And Happy New Year 2019!